Financial aid: $29,873 was the average student financial aid package last year. Ursuline College is located in suburban Pepper Pike, Ohio—about 15 minutes outside of Cleveland—on 60+ picturesque acres. Ursuline is one of the most affordable private liberal arts college in Ohio, according to College Scorecard published by the US Department of Education. At Ursuline, students thrive in a community dedicated to teaching, programming, research, and action that heightens awareness of women’s contributions to the world. The undergraduate student body is more than 90% women, and our average class size of 11 ensures you’ll find your voice and develop transformative mentoring relationships with expert faculty. Ursuline’s Breen School of Nursing boasts a 97% pass rate on the national NCLEX licensing exam, a 100% job placement rate upon licensure, and graduates are most commonly hired into Cleveland’s nationally ranked hospital systems. Cleveland is one of the top three health care markets in the United States, home to world-class hospital systems including the Cleveland Clinic, University Hospitals Health System, and MetroHealth Medical Center. Practitioners from these systems helped develop Ursuline’s Nursing curriculum, making it relevant, evidence based, and cutting edge. Extensive on-site clinical trainingin these and other hospitals includes a unique immersion practicum experience alongside a clinical practitioner in your area of interest. Nationally recognized and extensively published faculty and practitioners choose to teach in the BreenSchool of Nursing for the exceptional educational environment on campus.The program is known nationally for research in geriatrics and its holistic approach to patient care and clinical skills. Ursuline is one of the only Nursing programs in the United States to graduate students with an endorsement from the Agency for Healthcare Research and Quality, documenting that students have developed the necessary skills to work successfully and collaboratively inhealth care teams. This certification, known as TeamSTEPPS, is generally administered to new nurses in hospitals, putting Ursuline graduates a step ahead of their competition. 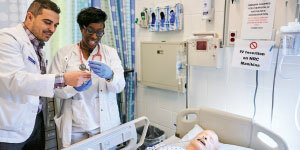 The Breen School of Nursing offersthe following degree programs: Bachelor of Science in Nursing, Master of Science in Nursing, and Doctor of Nursing Practice. • Applicants apply directly to the BSN program as high school seniors, guaranteeing admission to the Breen School of Nursing upon admission to Ursuline College. There are no waitlists. • BSN graduates have an average annual starting salary of $57,000 per year and a 100% job placement rate post-licensure. • Before interfacing with real patients, BSN students practice with high-fidelity patient simulators (lifelike manikins) in our Nursing Learning Resource Center, which is equipped to look and function like an actual hospital unit. • The Breen Scholars Program is an excellent résumé builder and gives you enhanced access to independent research. • You’ll be paired with a Nursing advisor who will guide you every step of the way, from clinical placements to NCLEX preparation. Ursuline’s Biology, Chemistry, and Biochemistry programs have developed outstanding partnerships with other colleges, universities, and health care institutions, offering research internships, dual-degree programs, and articulation agreements for preferred entry to Medical and Pharmacy graduate programs. 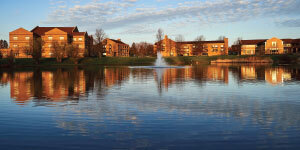 Ursuline also offers state- and nationally recognized programs in Art Therapy, Psychology, and Social Work. Field work in clinical settings is available, and many graduates select employment in hospitals, psychiatric and rehabilitation facilities, wellness centers, forensic institutions, and other health care settings. 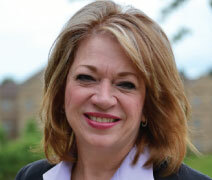 Dr. Patricia Sharpnack, the Dean of the Breen School of Nursing, was appointed in 2014 by Ohio Governor John Kasich to serve on the Ohio Board of Nursing, the only dean of a school of Nursing asked to serve on this board. Dr. Sharpnack has taught leadership, policy, and nursing education courses in the graduate and undergraduate programs of the Breen School of Nursing for the past nine years. She has received several awards for her leadership and service to the nursing profession.